Prominent & Leading Manufacturer from Mumbai, we offer c5 petroleum resin, c9 petroleum resin, c9 copolymer resin, c9 light petroleum resin, thermal polymerization petroleum resin and hydrocarbon. We are a well-organization engaged in exporting and supplying high-quality C5 Petroleum Resin. These are the primary constituents in oil, gasoline, diesel, and a variety of solvents and penetrating oils. To ensure their efficacy and shelf life, our packaging experts pack these products in a premium quality material. We Mark Impex, are the leading supplier of C9 Petroleum Resin, basically use for paints, adhesives, inks, and rubber industries. We By professional testing and meticulous division according to performance and applications, Our customers from all over the world enjoy the constant quality and professional applications of C9 Petroleum Resin material. This product is made by C9 cracking, through catalytic, polymerization. It's a kind of granular solid with colour from light yellow to oyster white. It has the properties of good heat stability, inter-solubility, viscidity, light stability, water resistance and very good chemical stability over acid and alkali. 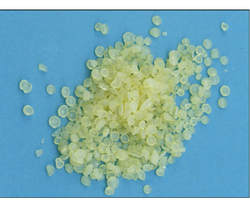 Applications: The product is mainly used as fertilizer in paint, rubber, adhesives, printing ink industries. C9 Light Petroleum resin is a kind of thermal plasticizing resin produced by C9 fraction, by-products of petroleum cracking, through pretreatment, polymerization and distillation, It is not a high polymer but a low polymer with the molecular weight between 300-3000. Featured by acid value, easy mutual solubility, resistant to water, resistant to ethanol and chemicals. It has the chemical stabilizing property of acid and alkaline, viscosity adjusting and thermal stabilizing. Generally, the petroleum resins are used together with other kinds of resins as promoters, adjusting agents and modifiers. Product Application Field:♦ A paints: Paints mainly use C9 petroleum resins with high softening points, petroleum resins are added to paints can increase the final finishes of paints, the adhesiveness of paint films and the hardness. Resistance to acid and alkaline. ♦ B Rubbers: Mainly use C5 petroleum resins with low softening points, these kinks of resins have very good mutual solubilities with natural rubber particles, No effect to the sulphurization of rubber. Rubbers added with petroleum resins will increase the strength, adhesiveness and softening property. ♦ C Adhesives: Petroleum resins have very good adhesiveness, they can increase the adhesiveness of adhesives, resistance to acid, alkaline and water. Subsequently, they will reduce the production cost. ♦ D Printing inks: Usually, The C9 petroleum resins with a high softening point are used for printing inks, they have colour spreading, fast dry and brightening effects and increase the printing property. ♦ E Other: Petroleum resins have certain unsaturation property and can be used as a paper glutting agent, plastic modifiers etc. 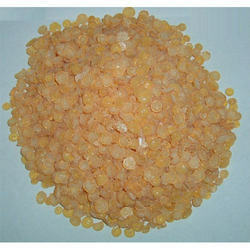 This product is made by the ethylene's by-product, through thermal polymerization. It's a kind of transparent granular solid with colour from light yellow to brown. It has the properties of good solubility, inter solubility, water resistance, insulation and very good chemical stability over acid and alkali. It still has a good adhesive strength and low heat conductivity, etc. Hydrocarbon is the petroleum resin is a low molecular weight aliphatic hydrocarbon resin that has been designed for hot melt road marking systems, These resins show an outstanding affinity for pigments and superior processability in the hot melt road marking application. It will remain stable all around the year by adding the additive. Petroleum resin for solvent-based pressures sensitive adhesive are low molecular weight aliphatic petroleum resins that widely applicable to solvent based pressure sensitive adhesive labels and tapes. These grades have great compatibility with SIS, caoutchouc, synthetic rubber of various kinds, EVA. As well as enhanced all kinds of performances in solvent based pressure sensitive adhesive applications. 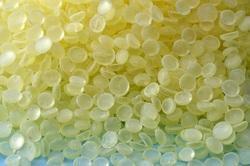 Aromatic modified aliphatic hydrocarbon resin is an aromatic modified aliphatic hydrocarbon resin giving excellent compatibility with natural and most synthetic rubbers and with EVA copolymers. It provides low viscosity, highly flexible plasticized blends having good adhesion to difficult surfaces. 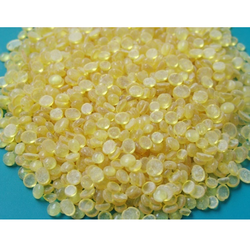 Petroleum Resins suitable for hot-melting additives, (including quick packaging adhesives, bookbinding adhesives, wood adhesives and glue sticks, etc.) They have excellent compatibility with SIS, SBS, EVA, Natural Rubber and many kinds of synthetic rubbers. 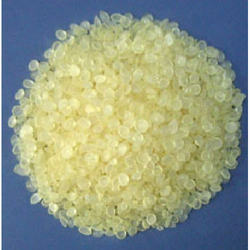 They provide enhanced performance in Hot Melt Adhesive applications.